Played high-school basketball at Fort Walton Beach HS, Fl. Played college basketball at Syracuse University (1998-2002). Moved to France for the 2002-03 season, signed by BC Besancon, Pro-B. Moved to Italy for the 2003-04, signed by SC Montecatini, Legadue. 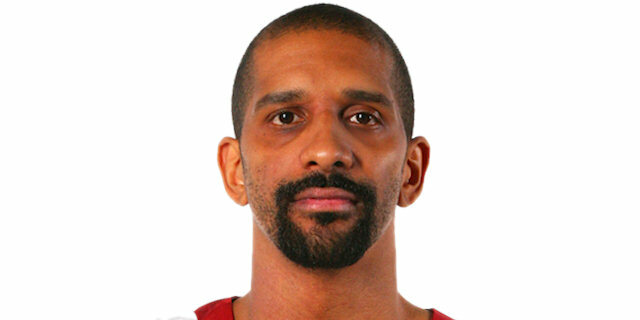 Signed for the 2004-05 season by Basket Livorno. Signed for the 2005-06 season by Pallacanestro Olimpia Milano. On December'06 signed by Benetton Basket Treviso. .signed for the 2008-09 season by Efes Pilsen Istanbul. Named the 2007-08 ULEB Cup Week-13 MVP. Won the 2008-09 Turkish National Championship with fFes Pilsen Istanbul. Played the 2008 and 2011 Turkish All Star Game. Named to the 2000-01 and 2001-02 All-Big East 1st Team.